*Optional speaker equipment is available, including Bell/Buzzer, Speaker/Transmitter, Speaker/Microphone, Amplified Handset, and Speaker/Transmitter Handset. 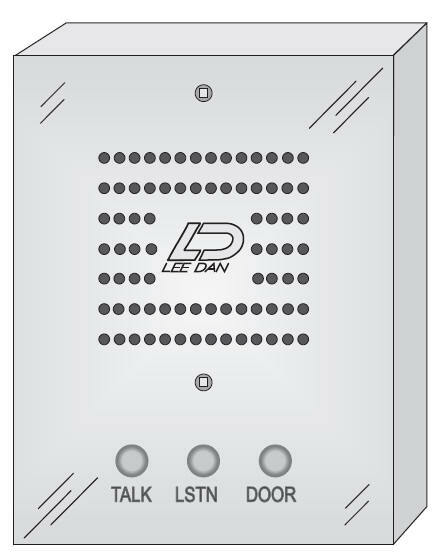 Call Lee Dan for wall dimensions of any Bravo® panels other than 'BS' Lee Dan for other styles including economy, vandal-resistant, oversized directory and stainless steel. 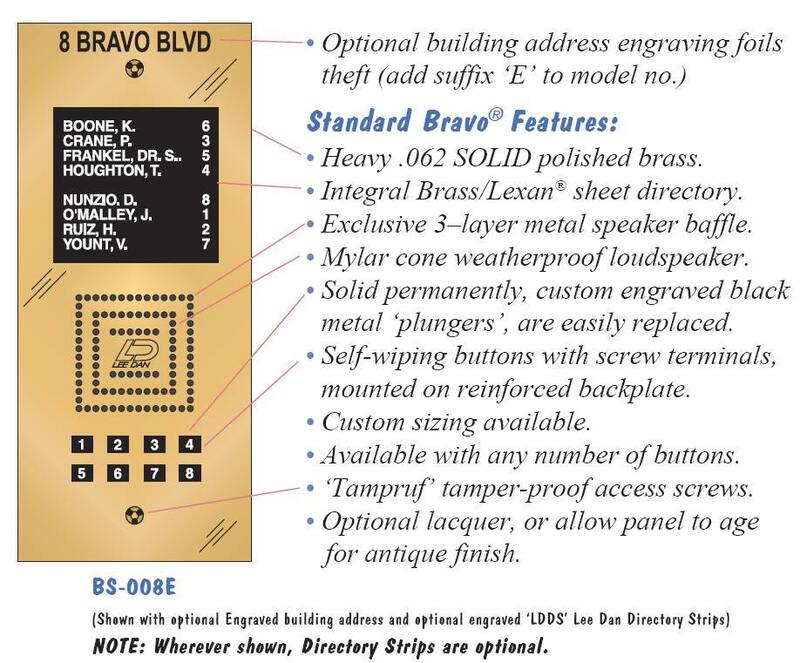 Bravo™ Lobby Panel: Intercom panel shall be a Lee Dan vandal resistant Bravo™ series or approved equal. 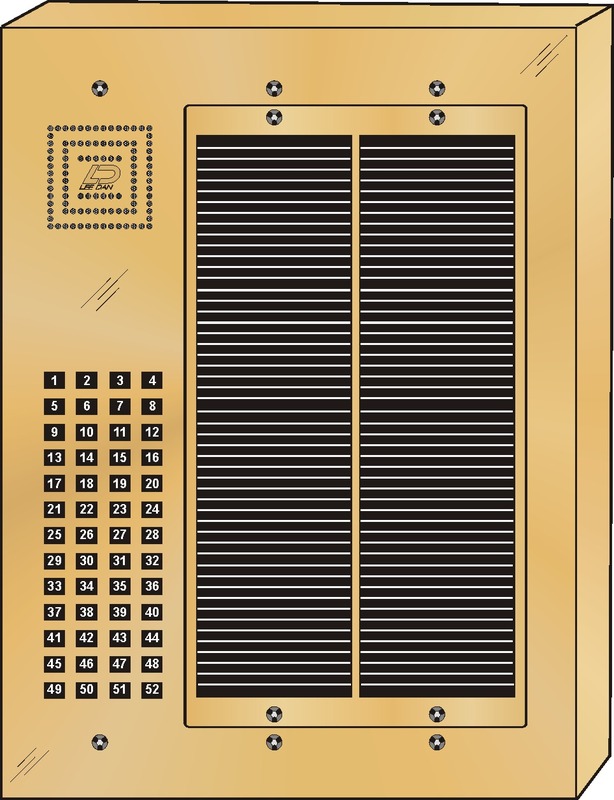 Panel shall be constructed of 16 gauge Solid Polished Brass. Momentary action, self-wiping pushbuttons shall be provided with 5/16" thick, solid black aluminum plungers. Connections shall be made by positive screw terminals. Pigtail connections shall not be acceptable. Apartment numbers shall be permanently engraved on individually replaceable metal plungers. Building address shall be permanently engraved at the top of the lobby panel. As an option, panel may be requested lacquer to prevent natural oxidation and finger smudges. Speaker shall be 3.5", 1 Watt, 45 Ohm with mylar cone. Paper cone speakers are not acceptable. Speaker shall be protected by a three (3) layer metal speaker baffle. 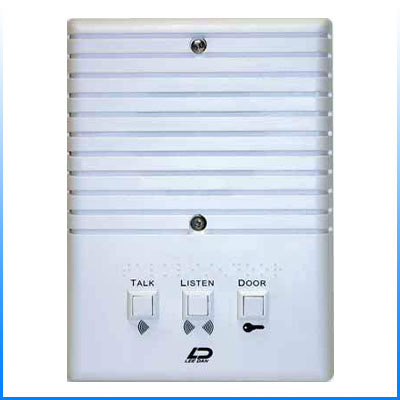 Intercom panel shall include an integral alphabetical directory protected by Lexan® sheet. Speaker, pushbuttons and directory components shall all be field replaceable. Glued in place components are not acceptable. Mounting screws shall be tamper resistant Tampruf type. A Lee Dan model SC-T Tampruf type screw driver shall be provided with each lobby panel for directory maintenance. Lexan® is a registered trademark of General Electric. 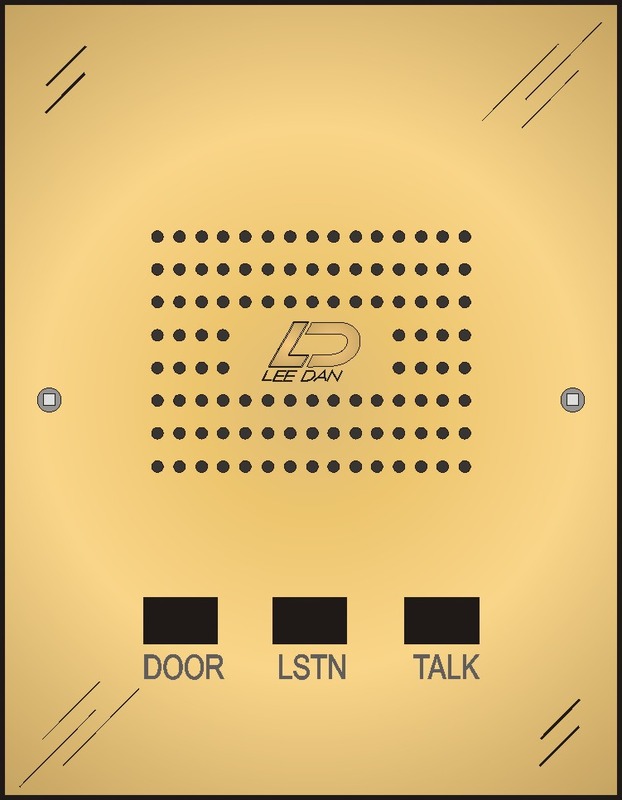 Since 1955, LEE DAN® has manufactured standard, modified and custom intercom systems for hundreds of thousands of homes, condos, co-ops, apartments, and commercial users. We take great interest in the special security needs of our customers, and great pride in the quality of our products! Call LEE DAN® customer service department toll-free for more information.